TOMORROW’S GAME has already provided acres of newsprint, social media debate and heated discussion in hostelries from Llangollen to Tipperary, and it’s hardly surprising with more subplots than Dynasty providing a backdrop to an intriguing encounter. Phillips is unlikely to find a pint of Guinness waiting for him after the game. A pantomime villain in the Emerald Isle ever since he galloped down the touchline in ‘spare ball-gate’ in 2011, consigning Ireland to a bitter loss, he will have further enraged the green-clad masses with his tongue-in-cheek introduction of Murray as a ‘poor man’s Mike Phillips’ on the Lions tour. For his part, Murray, seven years Phillips’ junior, is the coming man in the Northern Hemisphere with the Lions Tour, ironically, the making of him. Don’t expect surprises tomorrow, Phillips, in his usual style, will be looking to upset the rhythm of the classy Munsterman with aggressive bursts around the base and doubtless, plenty of sledging. Twelve months ago the general consensus was that Halfpenny and Kearney would fight it out for the Lions No 15 shirt, but while Halfpenny went on to win the Series as first-choice, and pick up gongs by the bucketload, Kearney struggled for form and fitness, failing to make an impression on a Lions tour where he travelled with a hamstring injury. This season, however, Kearney has been a man reborn with the sight of him powering down the left-wing against New Zealand, a memory that will long live in the hearts of the Aviva faithful. He was also rewarded with a try last weekend after an energetic display against Scotland. For his part, Halfpenny will be looking to make amends for a rare error after having a pass intercepted against Italy which led to a try. 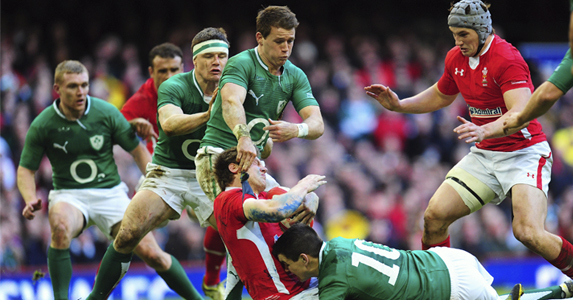 While they occupy the same position, Faletau and Heaslip couldn’t be more different. Faletau is quiet, humble and goes about his work in an unfussy manner, while, the ebullient Heaslip is vocal, gregarious and wears his heart on his sleeve – he was honest enough to say he was ‘pissed off’ to have been dropped for Faletau in the final Test in Sydney. A model of excellence is almost every facet of play, Faletau is, arguably, second only to Kieran Read in the world in his position, but don’t expect Heaslip to be bowing in deference, far from it. Having finally put the ‘will-he, won’t he’ saga over his future to bed, he looked full of vim and vigour last weekend and will be looking to dominate the young Welshman from first minute to last. Talismen for their respective teams, the two share many personality traits. 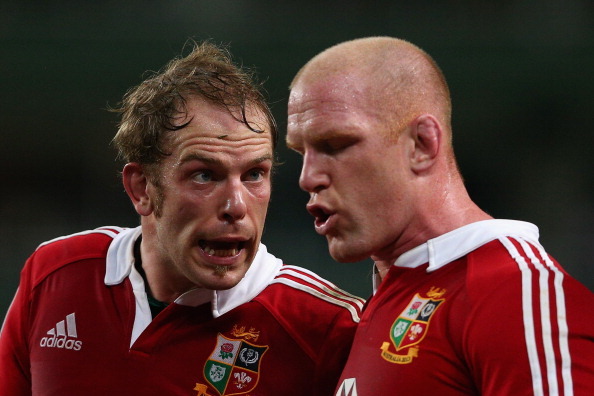 Both have captained club, country and the Lions and both possess indomitable spirit. O’Connell’s influence over Ireland, now arguably outstrips his esteemed colleague Brian O’Driscoll, and better still, there is no reason to suggest his powers are waning, even in his 35th year. Jones is another hugely durable player. With 75 caps for Wales at just 28, he is likely to be nudging a century of caps at 30. As Italy threatened a shock at the Millennium Stadium late on, he was the one driving the side on, hitting rucks and taking the ball into contact. As an indication of his teak-tough mentality, when asked if he was concerned about the hostility in Ireland, he replied deadpan, ‘It’s not Syria’. An epic battle is guaranteed. Healy and Jones were expected to form the Lions front-row in Australia, before injury cruelly robbed the Leinsterman of his opportunity. Six months later, the touring room mates will now be packing down against each other. Jones has been a cornerstone of the Welsh pack for nearly a decade, and even though he’s admitted to taking time to adapt the new scrummaging laws, Gatland has given him his unequivocal backing. There are no such queries over Healy who is becoming Ireland’s go-to man, as much for his work as a ball-carrier, as in the tight.